Last week was a good week for mail. 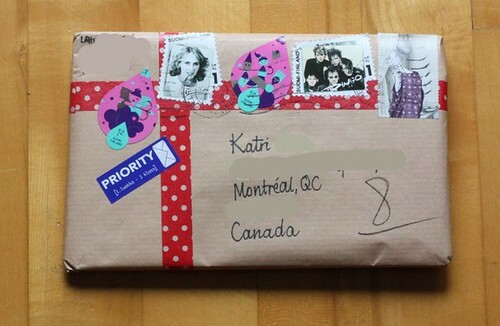 I wanted to share the mail love here too! 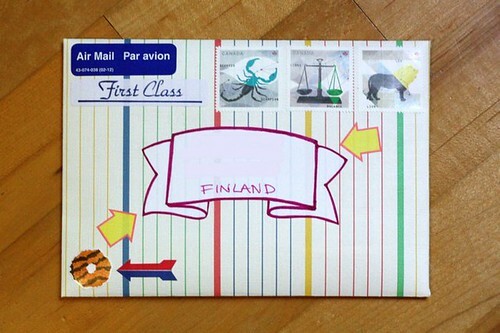 A super fantastical package from my friend in Finland. she sent me some candy (which was gone in about 5 minutes of opening the mail) and some of the Pantone postcards. I was tempted to buy them and while I was still thinking about it, she sent me some. It was awesome. Thanks Susanne! I sent some mail to someone (sort of) new. I've bumped into her and her work online and just got an opportunity send her some mail. 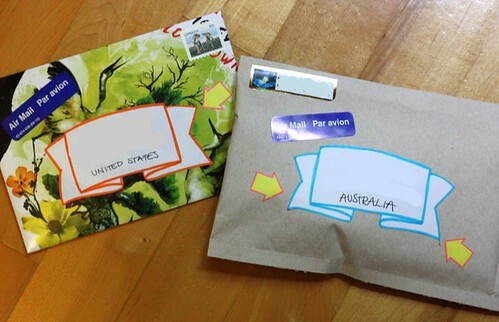 Some outgoing mail to Finland. 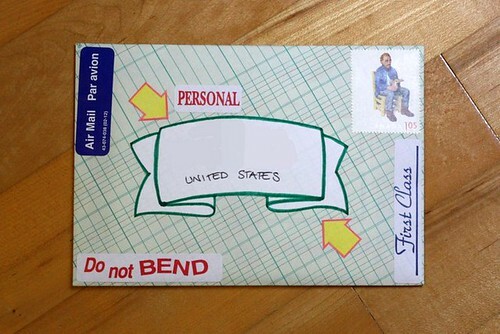 So, did you get anything good in the mail recently? 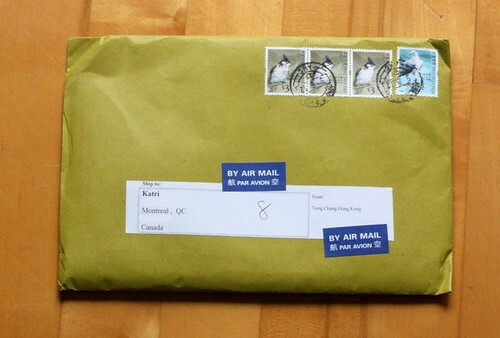 I'd think someone was grading my mail, but the one I got from Hong Kong also had an 8. I think surely the mail you sent would deserve a higher grade. I think they are grading me as a customer. But surely you deserve more than an 8? Unless it's a scale of 1 to 8.